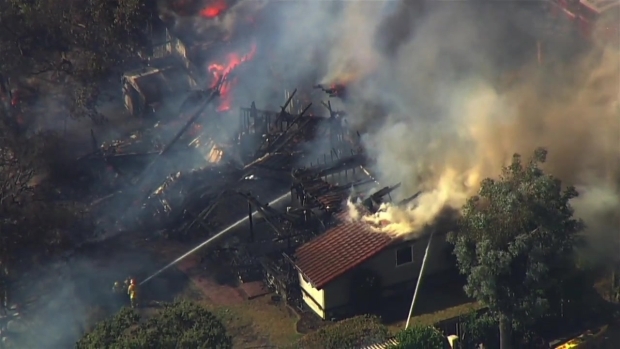 At least two structures burned and evacuations were ordered Tuesday due to a fast-moving brush fire in the foothills of San Jose's Alum Rock neighborhood. The fire started about 4:40 p.m. off McKee Road and Alum Rock Avenue and had charred at least 100 acres by about 8:25 p.m. The blaze was about 40 percent contained at that time. 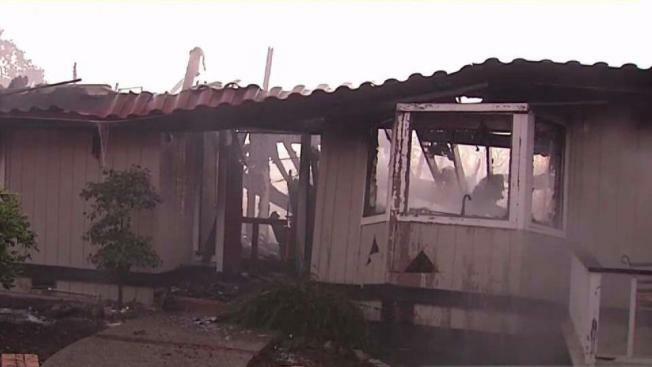 One home was destroyed and another was damaged by the flames, fire officials said. One firefighter had minor injuries but no burns or smoke inhalation. No other injuries were reported. 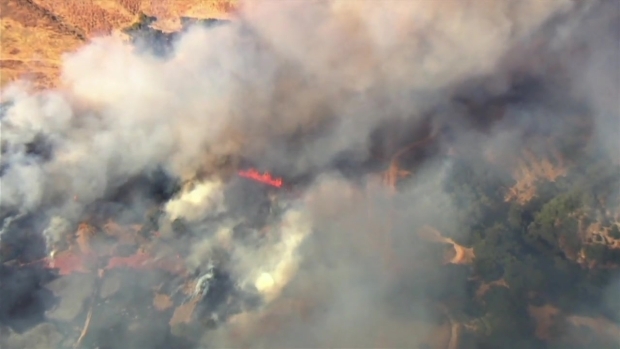 At least two structures burned Tuesday and evacuations were ordered when a fast-moving brush fire broke out in San Jose's Alum Rock. The fire was burning off McKee Road and Alum Rock Avenue and, at last count, had charred at least 20 acres. Fire officials said 11 of the 40 homes in the area of Claitor Way and Boulder Drive were evacuated initially. Later Tuesday night, those evacuations were lifted, and residents were allowed to return home, but some of them did not have power. Resident Hank Selke was on a work conference call at home when his neighbor called. That's when he saw smoke. "I looked outside, and I had not seen a sight like that before," he said. "I'm feeling very fortunate for our neighbors that they were able to get out." A fast-moving brush fire burns at least two homes and forces evacuations in San Jose’s Alum Rock. The Berryessa Community Center at 3050 Berryessa Road was open to residents affected as an evacuation and information center. Less than 10 residents visited the center, fire officials said. The San Jose Fire Department and Cal Fire responded to the fire. Crews will remain at the scene until full containment, fire officials said. "We've had a number of fires in the Bay Area over the last week; it's been a long stretch," Cal Fire Division Chief Jim Crawford said. "It's been dry. I just ask people to be careful with fire and careful when they're out in the wildland." A GoFundMe page has been created to help the impacted family rebuild.